One Way Street will feature all five albums released on Sub Pop Records, housed in a faux-leather box set. All five titles have been long out-of-print or have never been released on vinyl: The Winding Sheet, Whiskey for the Holy Ghost, and Scraps at Midnight have been out of print on vinyl for many years; I’ll Take Care of You was only released on vinyl in Europe, and Field Songs was only issued on CD. Each album in the One Way Street box set were cut from new lacquers and pressed on 180-gram vinyl, and are housed in a sleeve reproducing the art for its original release. 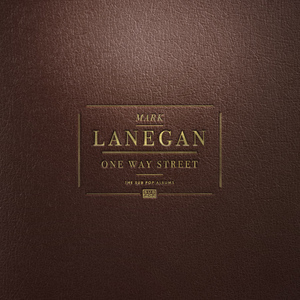 One Way Street set compiles the first five solo albums recorded by Mark Lanegan, the Pacific-Northwest icon also known for his work with Screaming Trees, Gutter Twins, Mad Season, Queens of the Stone Age, Isobel Campbell, and more. The Winding Sheet, Mark Lanegan’s first solo work, is notable in its departure from the characteristic sound of Screaming Trees, the band he fronted from 1985 until 2000. Its follow-up, Whiskey for The Holy Ghost, released during the grunge explosion of the early 1990s, showcases Lanegan’s growing maturity as a songwriter and vocalist. Scraps at Midnight could be considered the final installment of a trilogy of albums featuring Lanegan’s interpretation of American roots music accompanied by his troubling lyrics of loss, sin, and redemption. I’ll Take Care of You, Lanegan’s fourth solo effort, consists entirely of cover songs with interpretation of songs from a wide variety of songwriters, including Tim Rose, Tim Hardin, Booker T. Jones, and Buck Owens. On Lanegan’s fifth and final solo album for Sub Pop, Field Songs, Lanegan seems to have taken the best elements from his previous work to create one of the most fulfilled, and fulfilling, albums of his career; Field Songs also includes “Kimiko’s Dream House,” which Mark co-wrote with Jeffrey Lee Pierce of The Gun Club. Three of these five albums have been out of print on vinyl for many years; I’ll Take Care of You was only released on vinyl in Europe, and Field Songs was only issued on CD. Each album in the One Way Street box set was pressed on 180-gram vinyl, and is housed in a sleeve reproducing the art for its original release.